The subdivision we are visiting is part of the Queen City’s attempt to house its constantly increasing head count. The easy-to-develop lower farmland around the Flat Bush area has been diminishing at a rapid rate, and machinery and operators are now pushing into the surrounding hills. 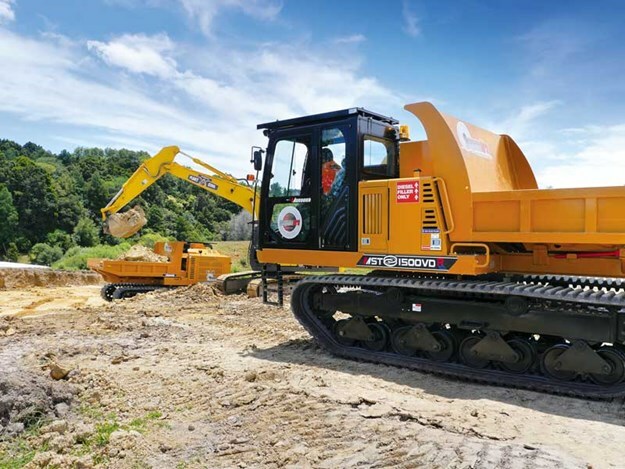 It’s here on a steep to rolling site divided by a curving gully that Hick Bros Civil is using recently arrived Morooka 1500VDR and 2200VDR tracked dumpers to prepare a new piece of land for the coming onslaught of operators and machinery. Working at a lower level on the site, both units are operating alongside a traditional articulated dumper (ADT) to remove excavated fill from a quickly forming silt-retention pond. They’re fast making a name for themselves with site supervisor Rameka Walker and operators Phill Nikora and John Faauuga. The larger of the two Japanese-made machines, the Morooka 2200VDR (r=reversible), has an admirable carrying capacity of 11 tonnes, four tonnes more than the 1500VDR’s payload. Coming standard on VDR models are side- and rear-view cameras, giving operators a complete surround view of conditions and potential hazards. Power to the Morooka 2200VDR is provided by a Caterpillar C7.1 Tier 4 final engine rated at 186kW (249hp), with a Cummins QSB6.7 Tier 4 final engine rated at 168 kW (225hp) powering the smaller 1500VDR. Morooka says the rubber tracks are a result of more than 50 years of joint development by it and Bridgestone. 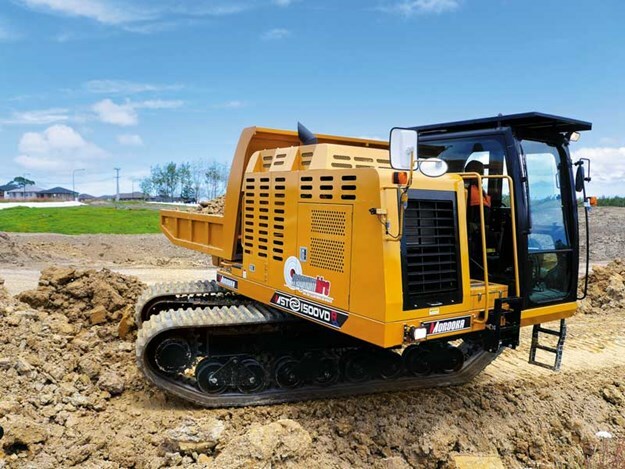 They’re designed to have the traction of a steel track and to offer low ground pressure while providing speed and operator comfort. "I’m happy with how these machines have been operating so far," says Rameka. He tells us that rain the day before made conditions less than favourable for safe use of the ADTs but the Morookas were able to continue working. "Obviously when conditions deteriorate, there is a safety factor we need to adhere to," says Rameka. "However, the tracked Morookas were able to comfortably operate for an extended period." 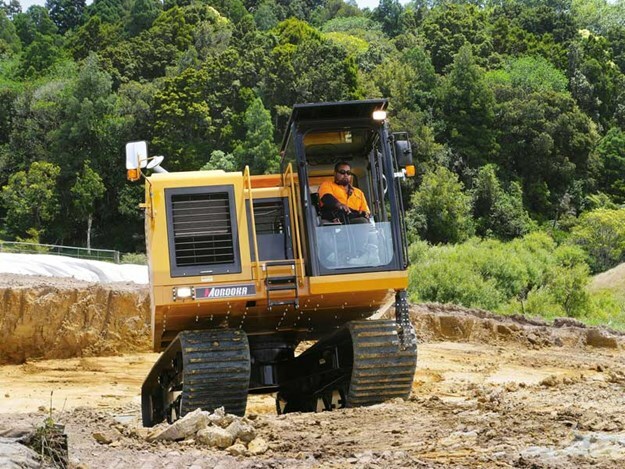 Versatile and built to operate in a range of different environments and configurations, Morooka machines have been available in New Zealand for a number of years, but only recently has the brand been taken on fully by equipment distributor Magnum Equipment. "I’ve always admired Morooka machinery and there have been many times when we could have done with a whole lot of them in the Magnum Hire fleet," says company director Liam Field. "When the opportunity presented itself, we thought Morooka would be an ideal fit alongside the Hidromek brand, which our sister business Magnum Equipment took on in 2017." In addition to being the brand’s dedicated distributor in New Zealand, Magnum also provides comprehensive sales and service support, says Liam. "We will be stocking a full range of Morooka consumables as well as other strategic parts to ensure any downtime is kept to an absolute minimum." 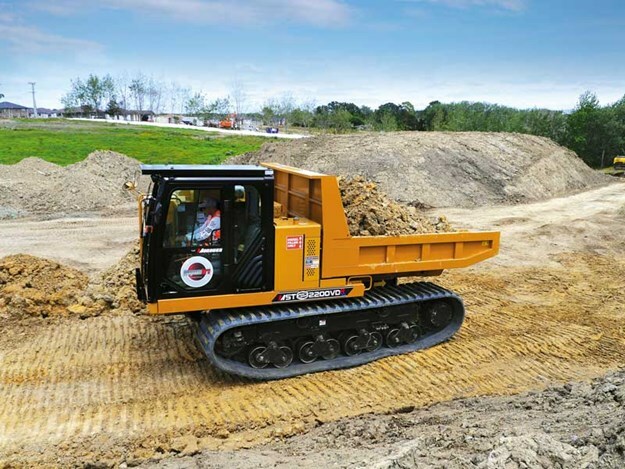 Back on-site, and thanks to their quick turnaround ability, the efficiency of the two tracked dumpers can be seen, with the machines delivering more loads to the stockpile than their larger six-wheeled counterpart. Of course, an articulated dumper will still have an advantage when hauling over longer distances, but for where the Morookas are working on the day of our visit, their individual volume count looks to be outpacing the competitor. Rameka explains: "The 360-degree slew on the Morookas gives them the ability to drive into the loading area, spin around and easily line up with the excavator. Then, also, they drive into the tipping area, spin around and tip off. It’s safe and quick. 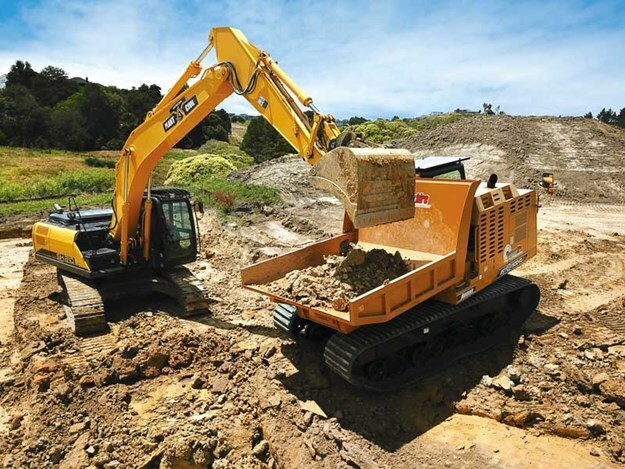 "And if you have a good operator, they will be able to create and maintain their own platform, so there is no need for a dozer to keep tidying it up all the time." 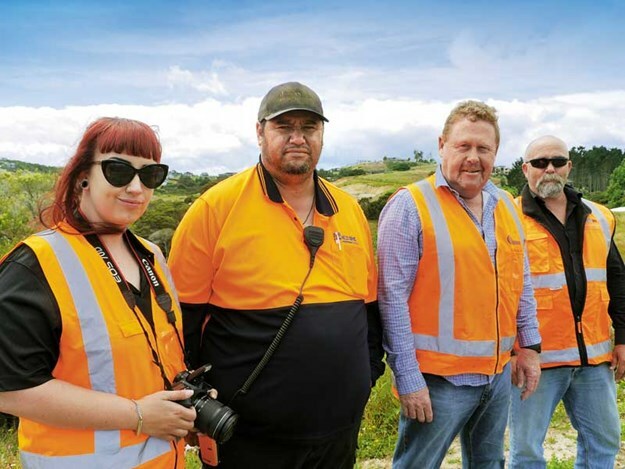 So, it could be said the Morookas are also providing a safe working environment for not only their operators but other on-site workers, because they essentially never reverse – despite being termed ‘reversible’. An additional safety feature (mentioned earlier) is the presence of right-hand-side and rear-mounted cameras, which give the operator a clear view along the blind areas of the machine. These are among a number of features Phill likes about his Morooka 2200VDR. He is enjoying the change from his usual stint behind the wheel of a heavy compactor. "This machine is really nice. 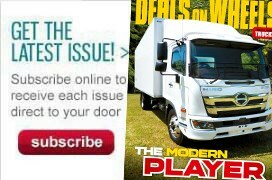 It’s got plenty of power and is good to operate. I can’t really think of anything I don’t like about it," he says. "The camera along the side is awesome and gives a nice wide view." "The aircon is sweet and it’s comfortable as," he says with a smile. Similarly, John is enjoying being in control of the 1500VDR. 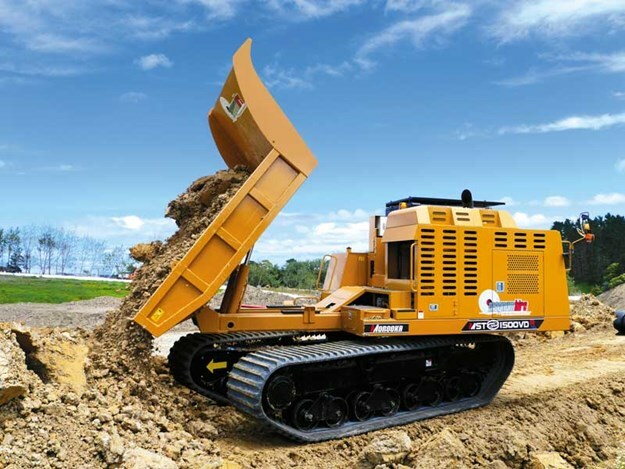 Other than being able to operate longer in marginal conditions, the Morooka reversible tracked dumpers should soon prove their worth when time comes to work at subgrade level. "With their wider frames and tracks they don’t disturb the ground as much," says Rameka, "and with these ones they’re reversible, so they can drive in and the whole frame turns – they’re not screwing the ground. 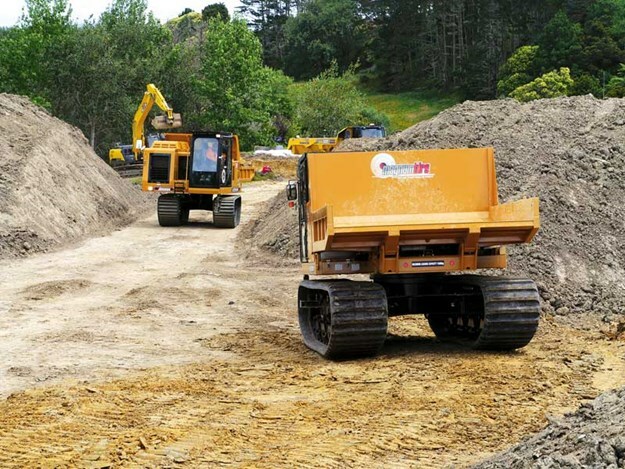 It helps when you get down to the subgrade – you don’t want to disturb it more than you have to." For the job at hand, it appears the Morookas are proving a wise choice in an industry where selection of equipment can be varied and often time consuming. In this instance, the timing and choice of machinery seem to have been correct.